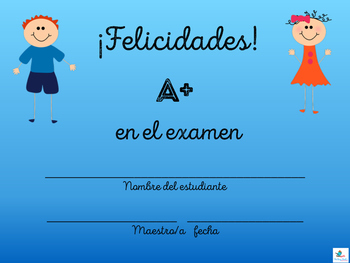 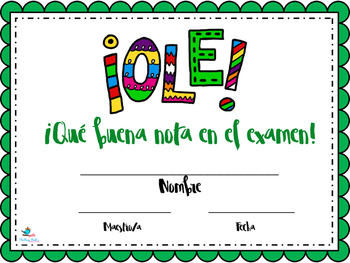 This is a file of 5 certificates for Spanish teachers to use to reward students for great grades, well done homework and just for doing well in class. 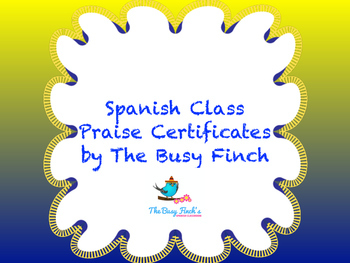 Students, even those in high school, love to receive praise- certificates, stickers, etc., so make their day when they do well. 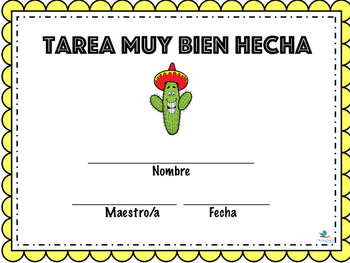 These are in a pdf file and if you have a color printer they will look best printed in color but if you not, they will still look great printed on color or white paper or you can take them to Staples or Kinko's to print out fairly inexpensively.